My Mom said the blog will be back up and running very soon! Fall has arrived and the weather here in the Midwest has been gorgeous! So what better way to soak up the crisp air than to take a catnap…outdoors…on a sidewalk that leads to the Mississippi River. Are you new to this series? It all began with one photo. 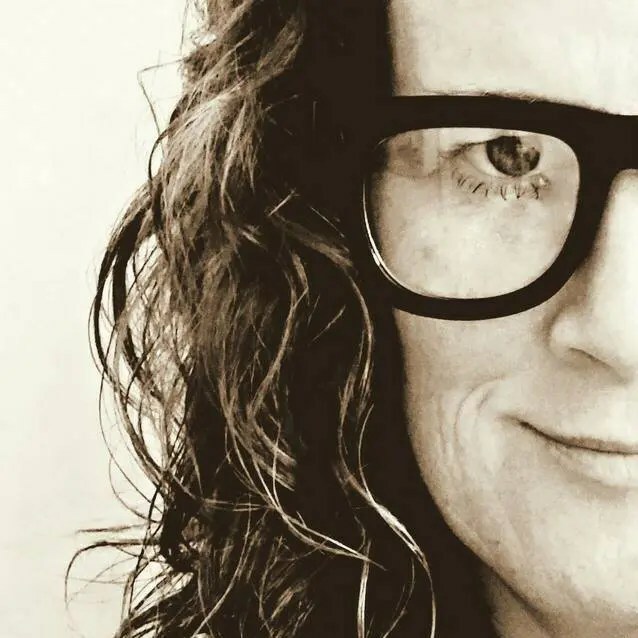 Welcome to my new series titled, Five Friday Favorites! I decided to give my previous Top 10 List a makeover and this is what I came up with. Same concept, with a few changes. Everyday while surfing the web I come across so many things that entertain, inspire, and educate me. So, I’m choosing five of those to share with you here. Enjoy! Here’s a fun, easy, and inexpensive DIY project that you can make for anyone. I mailed my last Christmas package mid January (don’t judge), so that means I can share the “how-to” with you here on the blog. Hobby Lobby has all of my favorite papers, embellishments, and tools on sale all the time. And that’s good when your crafting on a budget. This project only cost me $1. to make. That’s not a typo. 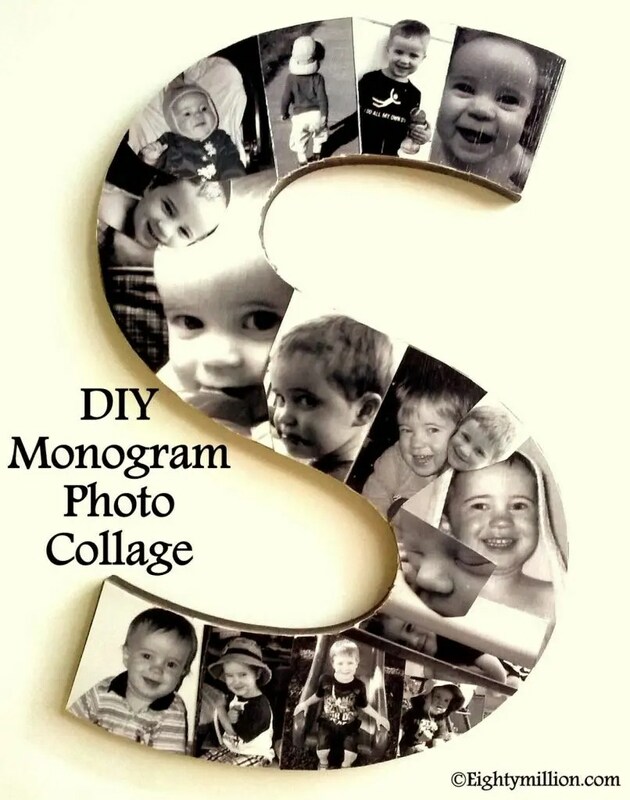 Keep reading and I’ll tell you how to make your own monogram photo collage. 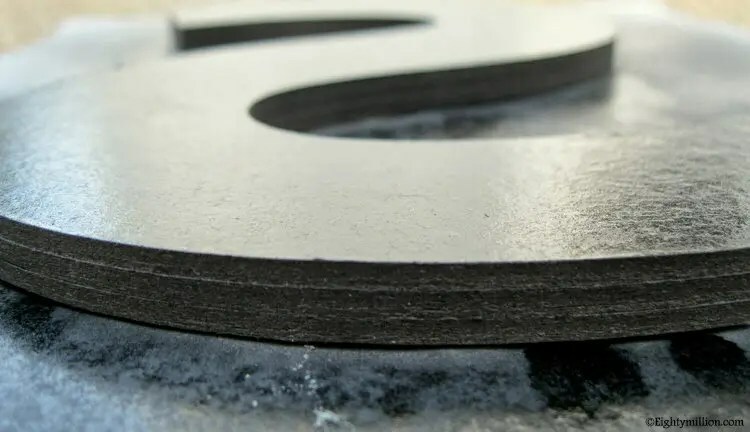 Hobby Lobby always has these chipboard letters on sale for 50%. With the discount you only pay $1. The spray paint I had on hand, but this particular brand was from Walmart and I believe it costs a little over a $1. You don’t have to use a name brand for this project. When I first made these monogram collages I attached black cardstock paper to the backs. Spray painting them is so much easier! Remove the price tag from the back, place down a barrier in between your work table and the letter, and then apply one layer of spray paint. Make sure that you hold the can about 6 to 7 inches away from the letter. That’ll prevent the paint from creating puddles on the chipboard. Use any color you like. I choose black because the photos are in black and white. Let it dry for about 30 minutes. Do you have an account with Walgreens online photo lab? I use them all the time. If you signed up for the promotional emails they send out frequently then pay attention to them. Every now and then you’ll get one for a free collage. Watch the dates that they are valid. Their offers are usually only good for three days or one day only. The black and white collage above was obtained through one of their free offers. You can upload 20 photos. The range of sizes are perfect for this project. 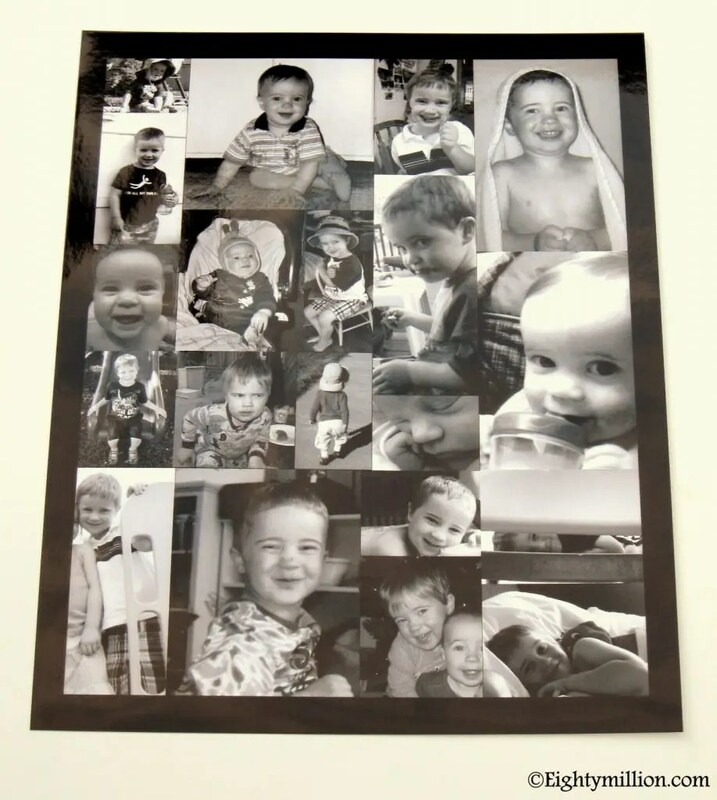 While your waiting for the spray paint to dry, cut out all of the photos and lay them on your crafting table. Arrange them in the order you want them to be attached to the letter. I alternated depending on the age in each. I always use double faced tape for my adhesive. 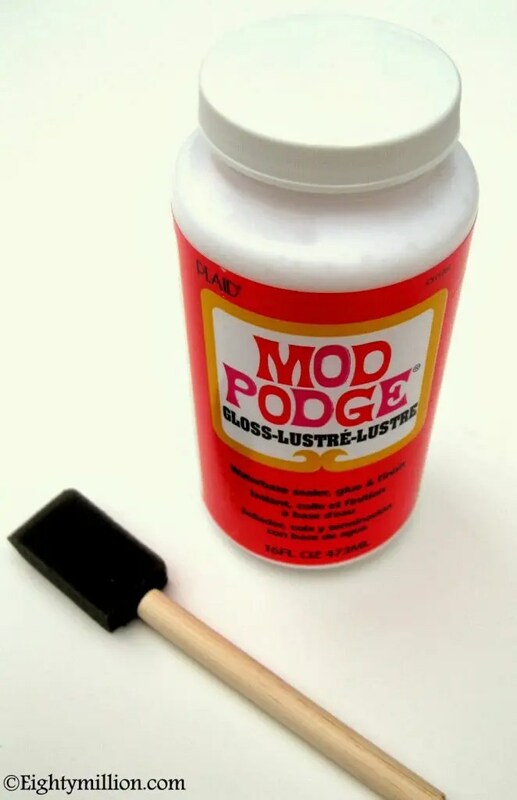 You can also use Mod Podge for this part. Attach the photos to your letter so that all of the chipboard is covered. You will find that overlapping them is helpful. 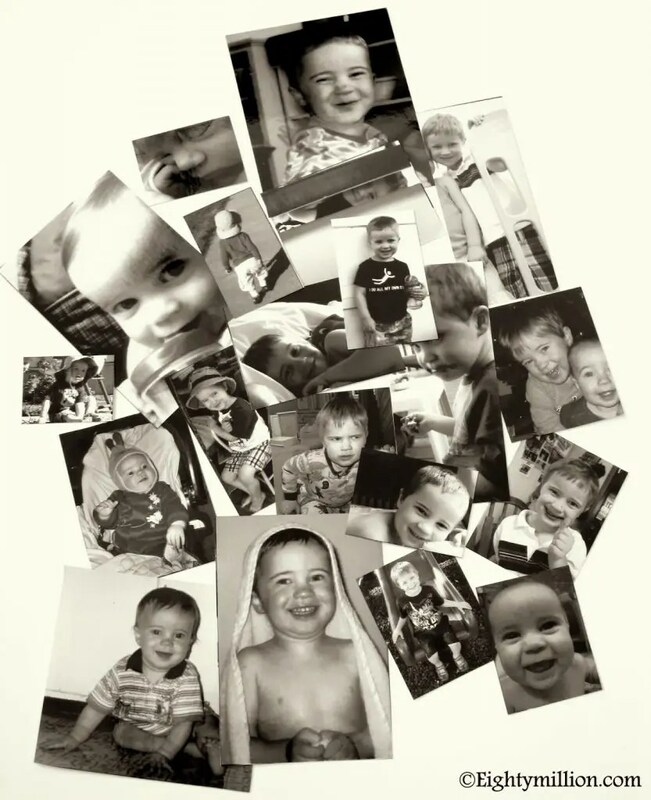 I attached the larger images first and then utilized the smaller ones to fill in the spaces. When the whole letter is covered I take an x-acto knife to trim off the excess and then use a fingernail file to smooth the edges. 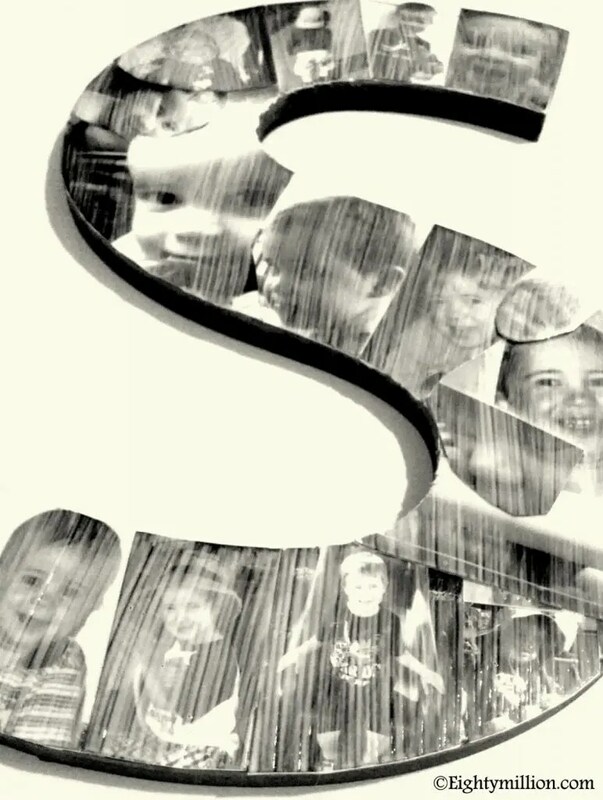 If you used Mod Podge as your adhesive, let it dry for about 30 minutes to an hour before doing this next step. I used the double faced tape so I’m ready to move on. 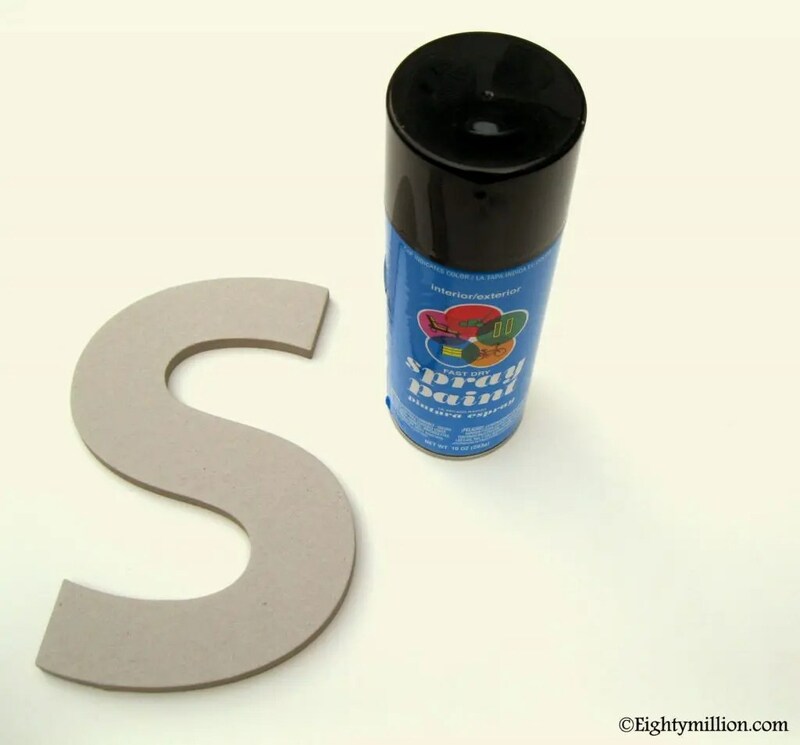 Using a foam brush apply a layer of Mod Podge to the entire letter. Gloss or matte, whichever you prefer. After the first coat is dry I added one more layer. When it’s completely dry I flipped it over to sign and date it. All done! I’ve made six of these so far for gifts to my nieces and nephews. 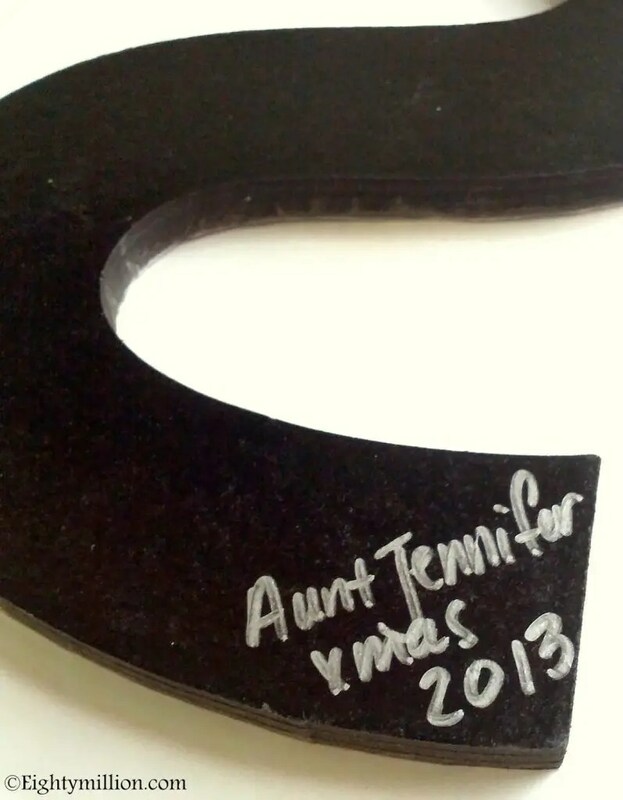 A nice keepsake for the parents as well. Get creative with this idea. 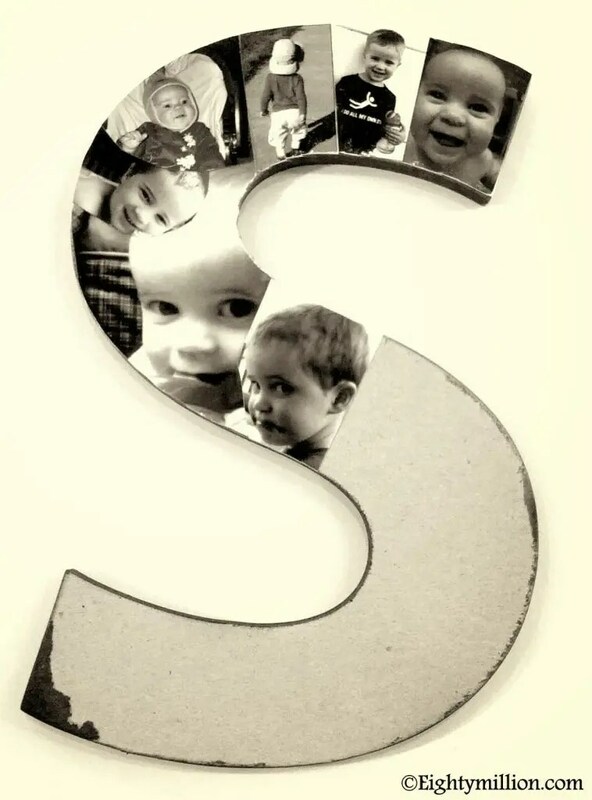 You could also use the last initial for your family and incorporate family photos. All of us here are very anxious for Spring to arrive. It’s right around the corner. We can hear the robins singing in the morning as the sun comes up. Disco was happy to find his football that was buried under all of the snow. Planning to watch the big game tonight? Super Bowl XLVlll is here! No one in my house is a fan of football except Disco, he loves to play. So we usually prepare snacks for the fur kids and homemade pizzas for the humans. We tune in for the commercials and the half time show. That’s it! But this year has changed. All of the morning talk shows and news stations have had endless discussions and polls on the best commercial out there. And then there’s social media. One BIG spoiler! What ever happened to keeping things quite until game day? I guess we live in a time where everything has to be released/shared early. For instance, look at how Black Friday has changed. Department stores and online venues were running specials days before the actual day. Let’s reference concert tickets for a moment. Pre-Sale tickets! Seriously, who’s idea was this? I truly believe that greed has taken over a serious portion of the nation. So, in conclusion to today’s big game. We’ll watch the half time show. I’ve seen all the commercials, so why bother?